Accompanying the Phoenix is a completed novel written by 九鹭非香. 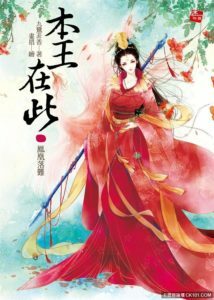 It consists of 80 chapters and is also known as 本王在此 in Chinese. As the Azure Sky Queen who was born with a pearl residing in her mouth, Shen Li’s life was always bright and dazzling. However, with her upcoming thousandth birthday, the demonic claws of a political marriage swiftly stretched towards her, catching her unaware. The Celestial Emperor residing in the Heavens had given a heavenly edict – the Azure Sky Queen shall be engaged and married to the thirty-third grandson of the Celestial Emperor, Fu Rong. But Fu Rong was infamous throughout the realms for his Casanova personality. As the King who called the shots in the demonic realm, she had the ability to quell uprisings and end wars with a swing of her silver spear—there was absolutely no way she would marry that flirtatious idiot! She must escape from this marriage! Chen Li never once thought that during her escape journey, she would meet a man who doesn’t belong to the three realms and the five elements. That man was truly an… oddball. *Chapters 1-26.2 were translated on Moon Bunny Cafe.